It’s not just the iOS operating system getting an update next month. After nine years, over 500 million weekly visitors, and over 180 billion downloads, Apple’s App Store is also getting a new overhaul. 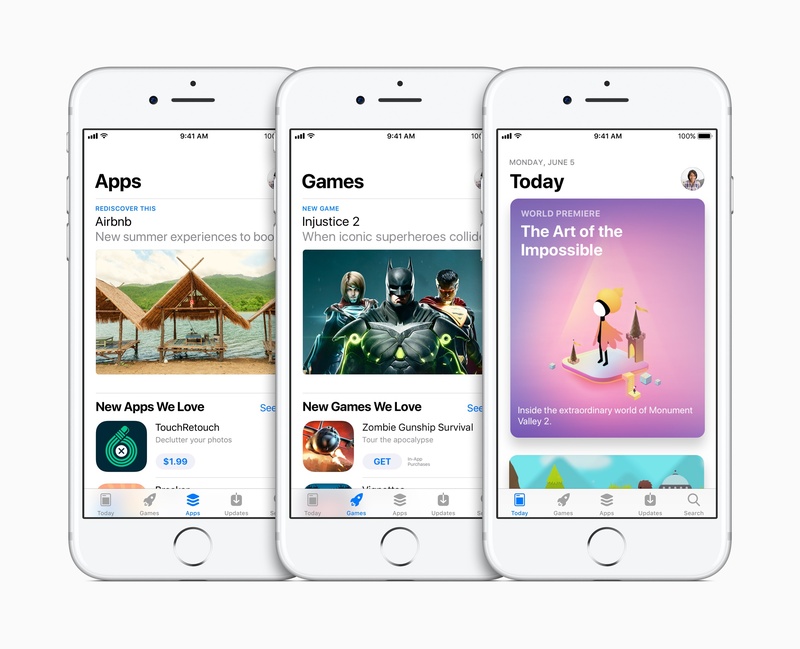 The newly redesigned App Store now displays even more information to educate and entice potential users. It is divided into 5 sections created to improve user experience and app discovery. The new Today tab features apps that relate to daily “stories” about current events or topics. Because it is always changing, there are more opportunities for apps to be featured. In addition to Stories, the new App Store Today tab will also contain tips and tricks for how to use individual apps and behind the scenes stories about their development. Apps and games are separated into their own tabs. This allows for more user-friendly exploration and gives applications and games a better chance of discovery. Tabs also include in-line videos about the apps they feature to entice and educate potential users. Search and Updates make up the final two tabs. The updates tab won’t change. The new search feature will not only allow users to look for apps and games but also data from other tabs such as tips, lists, in-app purchases, and stories. The app product page will include multiple videos, display the app’s rating and chart position in big bold text. It also allows in-app purchases to be featured with individual icons and descriptions inline on the app page. These new changes will give users more insight into the application, hopefully decreasing user churn rate. It’s a good time to brush up on your App Store Optimization skills! 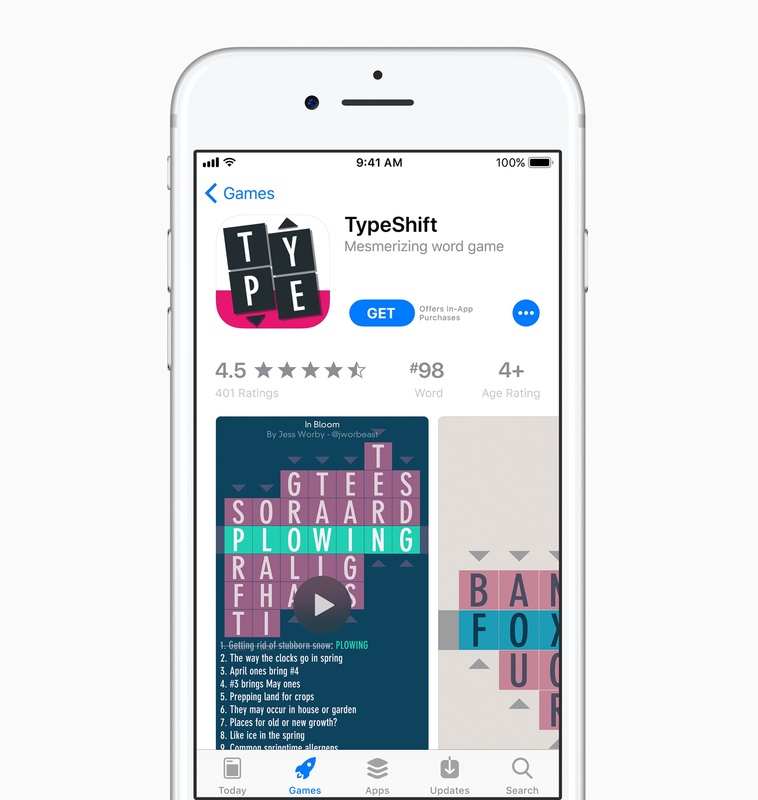 Your application has more opportunities to shine with the App Store’s increased number of descriptive text fields and previews. Subscriptions and in-app purchases also have their own display names, images, and descriptions. We are your iOS development partner. Our experienced team can build a reliable iOS app, deploy it, help you navigate the App Store, optimize your product pages, and more! For more information, contact us today.